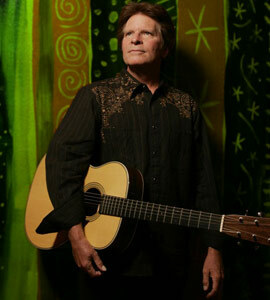 ﻿ John Fogerty Biography, Discography, Music News on 100 XR - The Net's #1 Rock Station!!! Rock & Roll, Heartland-Rock singer+guitarist John Fogerty was born on May 28, 1945, in Berkeley, California USA; he and his older brother Tom, formed one of the most popular Rock band of the late '60s/early '70s: Creedence Clearwater Revival. When the group split up in 1972, he started his own solo project releasing, a year later, "The Blue Ridge Rangers" on which he played all the instruments; the cover song "Jambalaya (On The Bayou)" became his first solo top 20 hit in U.S. and the second single, "Hearts Of Stone", hit the top 40 chart, helping his debut album to reach the #47 on the Official Pop chart. Fogerty returned two years with the eponymous effort which scraped the lower reaches of the U.S. Top 100 Albums list, it contained "Rockin' All Over The World", the track peaked at #27 in U.S. Pop Singles chart and the minor hit "Almost Saturday Night" which will be covered by Dave Edmunds later, in 1981. 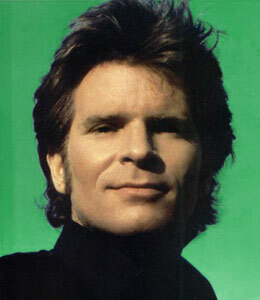 After full ten years, John Fogerty, resurfaced with the release of "Centerfield", reaching the top on The Billboard 200 Albums chart; the record spawned "The Old Man Down The Road" which hit #1 on Mainstream Rock Tracks chart and smashed into the top 10 of The Billboard Hot 100, two more singles, "Rock And Roll Girls" and the title-track, ranked in the top 5 of The Mainstream Rock chart propelling the album to double platinum status, "Centerfield" also included "Zanz Can't Danz" which Fantasy Records owner Saul Zaentz assumed was a personal attack, legal pressure forced Fogerty to change the final track to "Vanz Kant Danz". The next release, "Eye Of The Zombie", was issued one year later, in September of 1986, it climbed into the top 30 of The Billboard 200 Albums list and generated two Active Rock top 3 hit singles: "Change In The Weather" and "Eye Of The Zombie", plus the minor hit "Headlines". Another eleven years passed before Fogerty returned with his fifth solo effort, "Blue Moon Swamp", the record went gold in the States and won Best Rock Album at 40th Annual Grammy Awards ceremony, its single "Walking In A Hurricane" reached the #14 on Mainstream Rock chart and "Blueboy" entered the top 40 in the same chart. In the summer of 1998 he released a live compilation entitled "Premonition" which also included Creedence's tunes; the album was eventually certified gold for sales of 500,000 copies and the title-track peaked at #19 on Active Rock chart. John Fogerty re-emerged in September 2004 with the new studio effort, "Deja Vu All Over Again"; it broke into the top 30 of The Billboard Top 200 chart and the title-track was the first single off his sixth studio album.